For a worry free vacation consider Las Terrenas as your best choice! Want a worry free vacation? If you are seeking a worry free vacation then Las Terrenas could be the perfect base for your visit to the Dominican Republic. One of the great advantages about Las Terrenas is its nearness to one out of the seven International airports in the Dominican Republic. You can fly into the Arroyo Barril International Airport, near to Samana, and take a wonderful winding drive on the road through the lush green valleys, or arroyos, that lead you into to this thriving town. Or maybe if you are staying near Santo Domingo, the Capital City, you can take one of the frequent daily flights into the small airport just east of Las Terrenas, at El Portillo. Either way, when you arrive at Las Terrenas, you will find that this former fishing village has grown into a lively resort over the past thirty years. And has all the necessary amenities to ensure that you have that worry free vacation you desire. Make it down to the sea-front at Las Terrenas and you are bound to be struck by the beauty of the undeveloped beaches of white sand that run for miles in each direction. 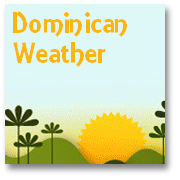 Las Terrenas is also blessed with a minimal rainy season (even for the Dominican Republic) and is consistently warm throughout the year. So it is, perhaps, little wonder that visitors from around the world came seeking their own 'worry free vacation'... and decided to stay. You will find that there is a wide range of restaurants, bars and discos that provide for tourists. Many of these are owned and/or run by the 'ex-pats'. Las Terrenas is now home to 'settlers' from various parts of Europe (e.g. France, Germany, Switzerland, UK) as well as from Canada and North America . Such is the international nature of this town of nearly 15,000 inhabitants. Why choose Las Terrenas for a worry free vacation? Well, for a start Las Terrenas host many good Hotels and accommodation facilities nowadays. 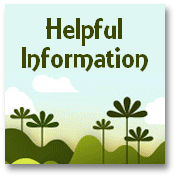 We also provide some accommodation ideas here which you can easily ring, or, in some cases, look up on the net. Some might observe that it is a little sad that the quaint shacks with down-to-earth 'basic' provisions that used to cost a pittance for back-packers and hippies to stay in have now disappeared. Tourist development (of which there has gradually been quite a bit in the Las Terrenas area over the last three decades) is bound to undermine this type of make-shift, homely accommodations. But on the whole the emergence of a range of 'proper' Hotels has increased the chance that you will be able to arrange and experience a worry free vacation much more successfully. There is still 'budget' accommodation in and around Las Terrenas (we list some budget hotel examples here). If keeping the costs down is one part of a 'worry free vacation' that is important to you. It is, of course, wise to try and book rooms in advance if you want to be assured of availability. 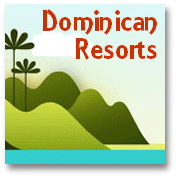 You can also try a search for economical places to stay via Visiting the Dominican Republic's 'budget accommodation portal'. Hostelworld offers a good range of value for money, low budget options and tours, ideal for travellers and back-packers and anyone on a limited budget! 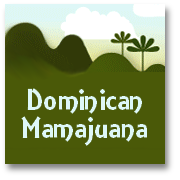 The Dominican Republic is just one of the destinations around the world that they offer accommodation. We also recommend checking out a great travel forum like Lonely Planet's 'Thorntree', where you can check ahead about the reputation of any budget places you might be thinking of staying - for a worry free vacation. The center of Las Terrenas is a lively mixture of the old and the new. Clubs and bars ensure that the night-life continues to the early hours. So if your 'worry free vacation' plans include the need for a bit of peace-and-quiet then you might want to look at what the area of Playa Bonita has to offer just away to the west of Las Terrenas and a little further from the hub-bub. In and around Playa Bonita a number of nice hotels provide ideal accommodation, and the beach itself is the 'picture postcard' deserted type (miles of it!!) where you can spend a worry free vacation playing 'Robinson Crusoe'! 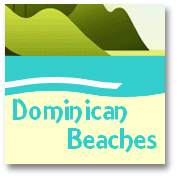 Las Terrenas now hosts all the facilities you might require. I provide a list below. You will be able to find accommodation, diversions, facilities and everything you might want to spend a worry free vacation for a as long as you are lucky enough to be able to stay. Just take care though. The area has 'cast its spell' over many visitors in the past. It would be no surprise to me if your 'worry free vacation' turned into a 'worry free relocation'!!! co-ordinated through "Vacation Home Rentals", who offer 'vacation rental villas and apartments all over the world' and feature an interesting range of rental opportunities in the DR. But if you are looking for some suggestions about hotels in Las Terrenas then take a look at our accommodation listings page right now, and find not only contact details for some of the best places to stay in Las Terrenas, but also some ideas about what you can do while you are there!